●100% brand new and easy to clean and use. 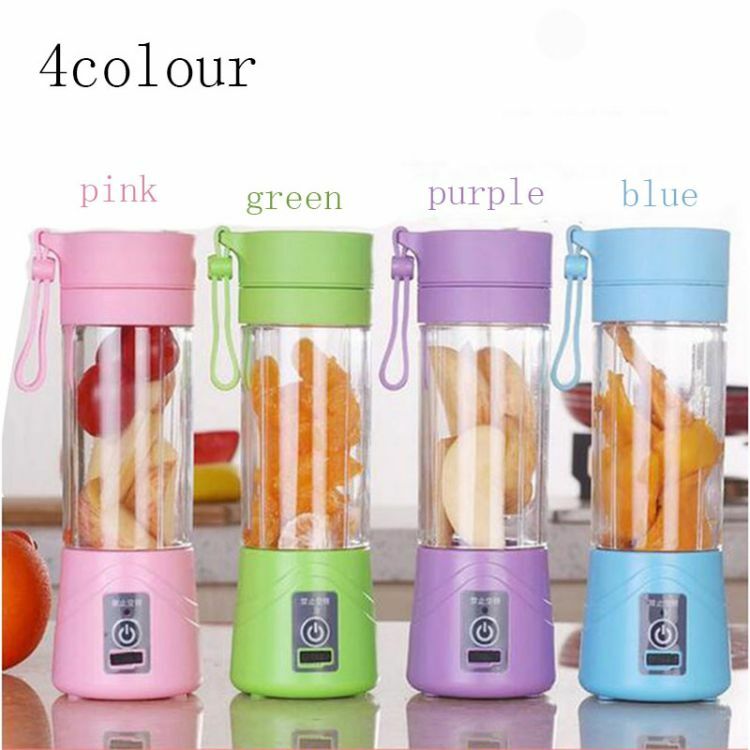 ●Handheld smoothie maker/ Protein Shakes mixer/ Ice Crusher. ●304 acidproof stainless steel stirring blade,sh-arp and durable. ●Unique carrying rope design,portable,practical,take silicone material,durable pull constantly. ●Groove design,change the flow of water,the food will f-ocus on the periphery of the knife and more evenly. ● Truly portable and conveniently, makes you blend and drink from the same bottle. ●Enjoy your fruit juice anytime and anywhere. ●A best gift for your friends and yourself, great ideal for home or accessory for Traveling. 4.The juice is finished,turn off the power switch,unscrew the cover to drink.If pomace is more, please use filter filtered before drinking.